Over this past summer, I decided to read only books by women. It started out unintentional and grew into it’s own little obstinate exercise. I did this, in part, to celebrate a little freedom. For the first time in years, I didn’t have to do any specific academic project over the summer. So much of my last several years have been focused on earning a doctorate and engaging in exhausting scholarship and writing novels and short stories whenever I could squeeze out a few minutes. But this past summer, my new novel came out, my Ph.D. was well in hand, I’d been hired into a great new position at my university, and I was free to relax a little. So I decided to kick back with a bunch of books that I didn’t plan on doing scholarship on or teaching or anything. I wanted to just read for pleasure. Part of me figured that books by women were as good as books by men. Since I’d started the summer with women authors, I’d follow the trend. There were deeper reasons why I did this, too. I detailed most of them in my latest column for Razorcake. I don’t want to repeat myself here. Plus, I’d like it if more people supported the magazine. So, if you’re interested in checking out the whole experience, please consider picking up the new issue (#77). I know it costs a whopping five dollars. I’m still going to make you pay that if you want to read the column. As far as this post goes, I’m going to list three of my favorite reads from the summer. I recommend all of them highly. They’re probably available at your local library or at independent and/or online booksellers that aren’t named after a piranha-infested South American river. I first heard of Megan Abbott through some scholarship she’d done on Philip Marlowe and the noir novel. From there, I found out she was a novelist, too. So I’d checked out Queenpin, which is kind of like Miller’s Crossing with a female cast. If you know how much I love Miller’s Crossing (short answer: a lot), you know this is high praise. After Queenpin, I was open to reading anything by Abbott. I picked up a copy of Bury Me Deep from Bookman’s in Flagstaff. 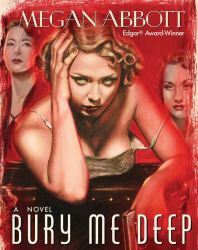 The novel is set in Phoenix in the early 1930s. It tells a story of murder, lust, and manipulation. Bodies end up in luggage at a train station. If I say any more, I give too much away. A colleague of mine taught a course on Suzan Lori-Parks. I felt bad that I didn’t know who she was. When I saw this book at the library bookstore for a buck, I couldn’t pass it up. Getting Mother’s Body is a rewriting of Faulkner’s As I Lay Dying from the perspective of a dirt-poor, pregnant African American girl. I’d imagine it’s a good book even if you haven’t read the Faulkner. It’s fast-paced and beautifully written. I fell in love with the characters. 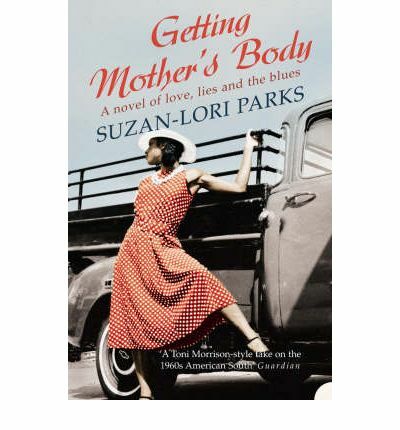 When I finished reading and thought about the book in comparison to As I Lay Dying, what Lori-Parks chose to change, the dialogue she seemed to be having with another novel, I started to realize just how brilliant Getting Mother’s Body is. 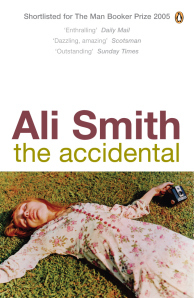 This was my book of the summer. I wrote a review of it for Flagstaff Live. The link to the article seems to be dead, so I re-posted it on this blog here. I’ll probably follow up with a few more of my favorite books by women authors in another post. This should be enough to chew on for now. This entry was posted in Other People's Books, Razorcake and tagged Megan Abbott. Bookmark the permalink.